This statistic shows the percentage of dog owners who did research before getting a dog in the United Kingdom in 2018. According to the survey, 18 percent of dog owners carried out no research out before getting a pet dog. 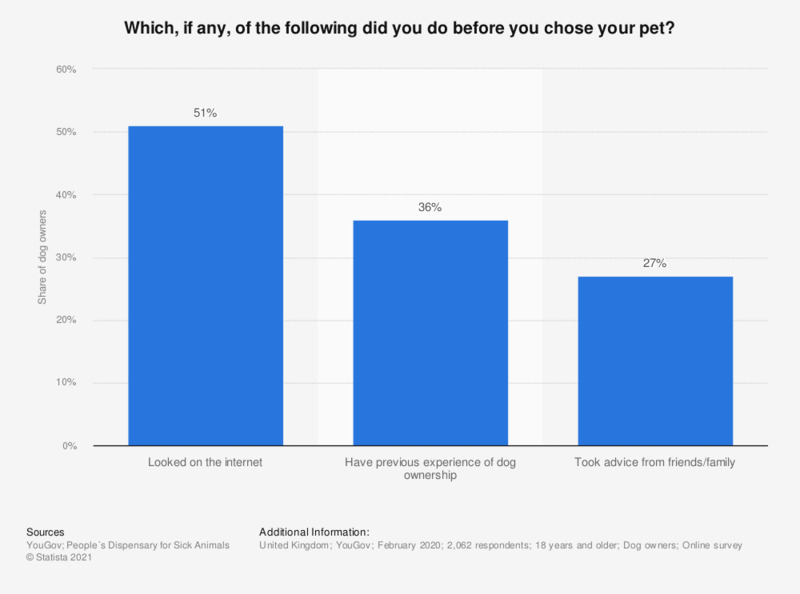 Among those who did do some prior research, the internet was the most common source, used by around 36 percent of dog owners before purchasing their pet.